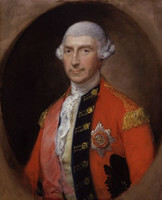 SINCLAIR, PATRICK, army officer and colonial administrator; b. 1736 in Lybster, Scotland, son of Alexander Sinclair and Aemilia Sinclair; m. c. 1785 Catherine M. S. Stewart of Inverness, Scotland, and they had at least four sons; d. 31 Jan. 1820 in Lybster. Like many other Scots, Patrick Sinclair sought adventure and advancement through the British army. He enlisted about 1754, and on 21 July 1758 he became an ensign in the 2nd battalion of the 42nd Foot. 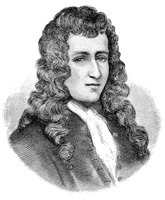 Late that year his battalion took part in the successful attack on Guadeloupe. In July 1760 it arrived at Oswego (N.Y.), the rendezvous with other forces that Major-General Amherst* had gathered to move against Montreal (Que.) from the west. While at Oswego, on 27 July 1760, Sinclair was promoted lieutenant. During the descent of the St Lawrence a French brig was captured near Fort Lévis (east of Prescott, Ont. ); it was renamed the Williamson and Sinclair was given command. He was transferred to the snow Mohawk after the fall of the fort and he remained in the vicinity for the rest of Amherst’s campaign. These appointments opened up a new career for the ambitious Scot. In November he gave up his command to join his regiment, but the Great Lakes had fascinated him and on 24 Oct. 1761 he exchanged his commission in the 42nd for one in the 15th Foot in order to join the marine forces on the lakes. For the next year or so he commanded ships on Lake Ontario, but during the Indian uprising of 1763 [see Pontiac*] he was transferred to the Upper Lakes. In 1764 he became the first person since René-Robert Cavelier* de La Salle in 1679 to take a sailing vessel up the Huron (St Clair). River to Lake Huron. After his return to Detroit (Mich.) from Michilimackinac (Mackinaw City, Mich.) in the fall, Sinclair was ordered by Colonel John Bradstreet* to construct a small fortification on the Huron River and was allowed to name it Fort Sinclair (Port Huron, Mich.). He sailed lakes Erie, St Clair, Huron, and Michigan during the next three years and travelled to Lake Superior. In 1767 the marine forces were reduced and on 23 September, when Sinclair handed over his vessel, the merchants at Detroit presented him with a silver punch bowl as “a Publick Testimony of their gratitude.” He settled at Fort Sinclair, carving out a small estate and securing it by a deed from local Ojibwa chieftains. 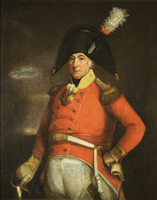 Sinclair returned to England in 1769 and, while recruiting there during the next two years, he petitioned for return to the marine forces on the Great Lakes. Though promoted captain on 13 April 1772, he went on half pay and retired to his family estate at Lybster. His attempts to return to North America bore fruit on 7 April 1775 when he was appointed lieutenant governor and superintendent of Michilimackinac, in the recently enlarged province of Quebec. He took ship almost immediately, but two attempts to reach his post via the Thirteen Colonies failed because of the revolutionary turmoil there. Eventually, in 1778, he arrived at Halifax, N.S. A year passed before he was able to proceed overland to Quebec where he presented his credentials to Governor Haldimand. On 4 Oct. 1779, more than four years after his commission, he reached Michilimackinac. Familiar with the post from his sailing days, Sinclair had given considerable thought to the defenceless position of the stockaded fort located almost at the water’s edge of a sandy beach. He also knew from experience that sailing vessels had to anchor several hundred yards off the shallow shore. Searching for a better location, he crossed to the rocky heights of Mackinac Island where he explored the fine harbour and a fortifiable bluff. He decided almost immediately that the fort and town should be moved. Even before he secured permission he cleared brush and skidded a few buildings over the ice. During 1780 and 1781 the formidable task of relocating the fort and the village of nearly a hundred houses on the island consumed much of his energy. On 12 May 1781 he formally purchased the island from the local Ojibwas for £5,000 New York currency. A military man, Sinclair had been disappointed to learn that his position as lieutenant governor would be limited to civil and Indian affairs. Though he would have responsibilities for a vast region he would not have authority over the soldiers at the post. 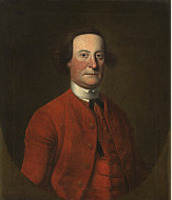 The commander of the garrison, Major Arent Schuyler DePeyster*, noted his pleasure at the appointment of Sinclair because he was liked by both traders and Indians. Soon after the lieutenant governor’s arrival DePeyster departed to take command at Detroit. The garrison was left under the nominal authority of Lieutenant George Clowes, but Sinclair exercised the real control. In order to have secure command of the garrison Sinclair purchased a captaincy on 1 April 1780. Brooking no challenges to any aspect of his authority, he had serious clashes with various people including John Askin and Joseph-Louis Ainsse. Haldimand supported Sinclair but was distressed by his quarrelsomeness. Shortly after his arrival at Michilimackinac Sinclair had received a circular letter issued by the secretary of state for the American Colonies which ordered attacks on Spanish possessions. The energetic Scot immediately organized an expedition against St Louis (Mo.). In the spring of 1780 a few traders, including Joseph Calvé and Jean-Marie Ducharme, and nearly a thousand warriors led by Madjeckewiss and Wahpasha, advanced through what is now Wisconsin. 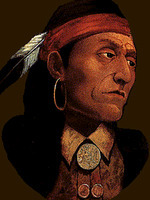 Charles-Michel Mouet* de Langlade directed another wave of Indians through the Illinois country. St Louis and Cahokia (Ill.) withstood the assault, however. Sinclair blamed the Canadians, especially Calvé and Ducharme, and the Sauks and Foxes for its failure. A considerable amount of Sinclair’s official funds went to keep the Indians of the Upper Lakes loyal to Britain, and so large were his expenditures that in January 1782 the military cashier at Quebec refused to pay his drafts. Though he was promoted major in the army on 12 June, a board of inquiry consisting of Colonel Henry Hope* and two high officials in the Indian Department, Sir John Johnson* and James Stanley Goddard, came to Michilimackinac to investigate his expenses. Three days after their arrival on 15 September, Sinclair left for Quebec to settle matters. For two years he lived on the Île d’Orléans attempting vainly to untangle his financial affairs. Placed on half pay when his regiment, the 84th (Royal Highland Emigrants), was reduced, Sinclair finally secured permission to return to Lybster. Since his bills had still not been paid, he travelled to London to see Haldimand. On his arrival in late February 1785, his creditors had him thrown into Newgate prison for debt. After obtaining sufficient funds to secure his release Sinclair sued Haldimand for £50,000. The following year the government paid the protested bills, but Sinclair had been impoverished by stiff legal fees and in 1788 he sold his property on the Huron River. Sinclair’s latter years were spent at Lybster, where he experimented with planting wheat and expanding his tenants’ fishing fleet. Declared bankrupt in 1804, he was briefly jailed for debt. He died nearly destitute in 1820 and was buried on his estate. Though on half pay he had continued to be promoted: in 1793 he became lieutenant-colonel; in 1797, colonel; in 1803, major-general; in 1810, lieutenant-general. Until the end of his life he drew the salary of lieutenant governor of Michilimackinac, which must have reminded him of that brief moment of power when for three years he was the most important man on the upper Great Lakes. Clements Library, Thomas Gage papers, American ser., 25: Campbell to Gage, 3 Oct. 1764; 26: Campbell to Gage, 10 Nov. 1764; 28: Campbell to Bradstreet in Bradstreet to Gage, 7 Dec. 1764; 40: Lieut. Sinclair’s report on lakes Michigan and Huron in Campbell to Gage, 2 Aug. 1765; 74: Inventory of schooner Gladwin in Sinclair to Gage, 20 Feb. 1768; 79: Turnbull to Gage, 11 July 1768. Thomas Mante, The history of the late war in North-America and the islands of the West Indies, including the campaigns of MDCCLXIII and MDCCLXIV against his majesty’s Indian enemies (London, 1772), 516. Mich. Pioneer Coll., 6 (1883): 405; 8 (1885): 472–75; 9 (1886): 364–65, 394, 398, 516–632, 655–57; 10 (1886): 355, 357, 378, 382–90, 397–401, 405–8, 413, 415–17, 421–23, 430, 434–43, 452–53, 457–61, 467–71, 477–81, 486–90, 495, 498–500, 502–5, 514–15, 519–22, 529, 534, 548–49, 552–65, 572–73, 579–81, 585, 592–600, 645, 661, 672; 13 (1888): 56–63, 71–72; 19 (1891): 499–501, 529–30, 631–34, 638–40, 671; 20 (1892): 8, 15, 31, 36, 47, 51–54, 56, 65–66, 210–12, 276; 24 (1894): 3–4; 25 (1894): 140, 161. D. A. Armour and K. R. Widder, At the crossroads: Michilimackinac during the American revolution (Mackinac Island, Mich., 1978). B. L. Dunnigan, King’s men at Mackinac: the British garrisons, 1780–1796 (Lansing, Mich., 1973). H. B. Eaton, Patrick Sinclair, builder of Mackinac and founder of Lybster: an account of his life and times (n.p., 1979). W. L. Jenks, Patrick Sinclair (Lansing, 1914). H. B. Eaton, “Lieutenant-General Patrick Sinclair, an account of his military career,” Soc. for Army Hist. Research, Journal (London), 56 (1978): 128–42, 215–32; 57 (1979): 45–55. David A. Armour, “SINCLAIR, PATRICK,” in Dictionary of Canadian Biography, vol. 5, University of Toronto/Université Laval, 2003–, accessed April 20, 2019, http://www.biographi.ca/en/bio/sinclair_patrick_5E.html.